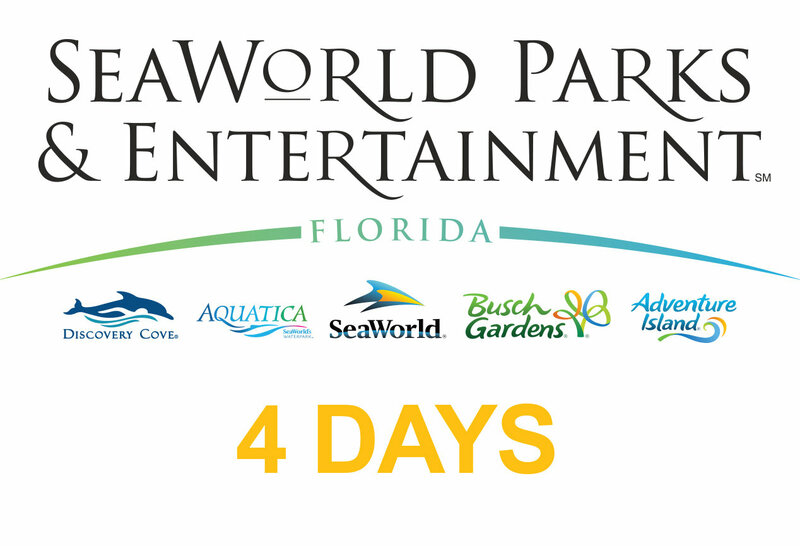 4 Day Adventure + Parking (SW, BG, AQ o AI) : Enjoy 4 visits at any combination of our great Florida theme parks: SeaWorld Orlando, Aquatica Orlando, Busch Gardens Tampa Bay and Adventure Island Tampa Bay, plus free parking. Entry is valid for 14 days Consecutive days after the first day of use. SeaWorld®, Busch Gardens®, and Sesame Place® brands. The parks offer guests a variety of up-close experiences, from animal encounters that invite exploration and appreciation of the natural world, to thrilling rides and spectacular shows.